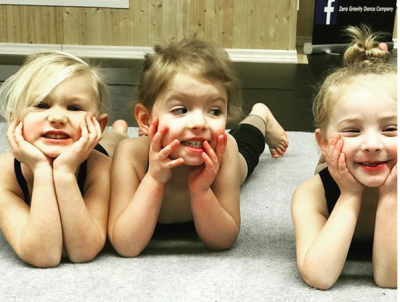 Developing a young dancer's technical foundation is so important. 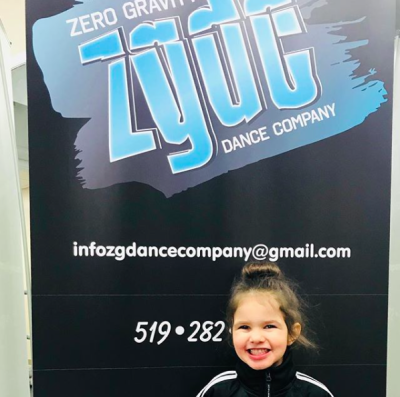 At ZGDC we believe it is our job to make sure that they are taught proper technique from the beginning, as this fully prepares them for their future in dance. All dancers dance for different reasons. We believe that what separates a "recreational" dancer from a "competitive" dancer is that recreational dancers do not take part in competitions. All recreational dancers will perform in our year-end recital every spring. This is an amazing experience for our dancers to showcase what they have learned all season long on a stage! Pulled back and out of the dancer's face. All Cheques Payable to Zero Gravity Dance Company. There will be no refunds. In the case of severe weather conditions that cause classes to be canceled, missed classes will be added in the last week of April at the discretion of the director.